South Africa’s gymnasts who participated in the 26th FIG Trampoline Gymnastics World Age Group Competitions made an impressive upgrade to their world rankings after a successful meeting which took place in St Petersburg, Russia, from 15-18 November.More than 850 junior athletes from 42 nations on six continents took part in this prestigious event held at the Saint Petersburg Sports and Concert complex. The event kicked off after the 33rd FIG Trampoline Gymnastics World Championships. 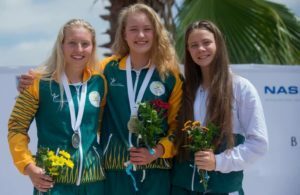 The junior South African trampoline team consisted of ten gymnasts, who participated in the trampoline, tumbling and double mini categories in all the different age groups featuring in the competition. 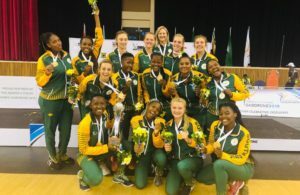 The gymnasts, many of whom had not previously participated in competitions of this stature, made their mark and represented the South African Gymnastics Federation, asserting themselves with pride. Day four of the tournament saw Tshepang Mamabolo surprise the trampoline fraternity by finishing in third place in the double mini-trampoline men 13-14 years qualification round. This outstanding result saw Mamabolo secure a spot in the finals. Mamabolo finished seventh overall and was the only SA gymnast to qualify for finals. In the individual trampoline men 13-14 qualification, Mamabolo finished 52nd, scoring a total of 77.380 points, while Khanyile Mbolekwa took 15th position with a total score of 66.00. In the double mini trampoline men 17-21 qualification round, Fusi Nyokana achieved 11th place with an incredible final score of 67.600. Liyema Nxobo also competed in this age category and obtained a total score of 67.300, finishing in 13th place overall. In the 15-16 qualiﬁcation round, Siyabulela Siwa performed incredibly well, scoring a total of 68.200, placing 13th in the world rankings. 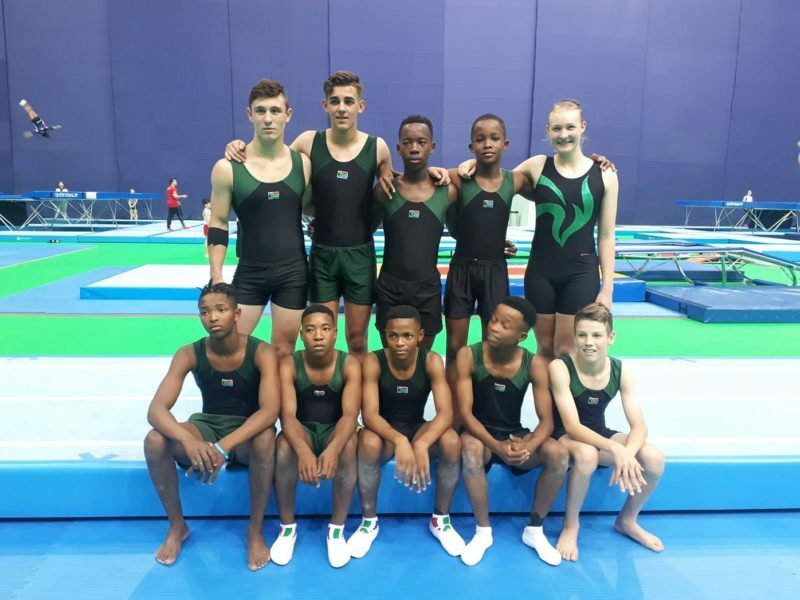 Meanwhile, in the tumbling men 13-14 qualification round, Frans van der Merwe placed 23rd with a total score of 54.000, while teammate Michael Masangane scored a total of 53.300 to finish 24th. On day three, Siyabulela Siwa finished 45th with total score of 83.465 in his individual trampoline men 15-16 qualification. In the 17-21 qualification, Jordan Booysen finished in 48th place with a total score of 90.225, followed by Henning Enzo, who finished with a ranking of 49th after achieving a score of 88.460. Nxobo finished in 55th place with his total score 70.590. The only female gymnast, Alice Hawksley, finished 25th with a total score of 52.600 in the tumbling women 17-21 qualification round.